← Where Do I Start With Pinterest? 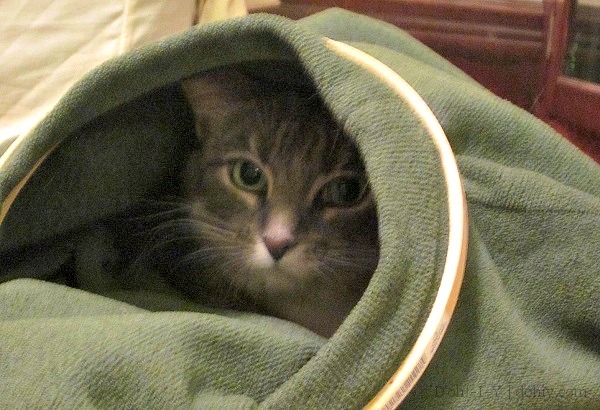 Previously on D’oh, I made a cat cozy that the cat couldn’t get into. I remedied that miscalculation temporarily with a skirt hanger. I picked up an eight-inch embroidery hoop (less than $2) and clamped it around the fabric just past the “neck” on the former sweatshirt. 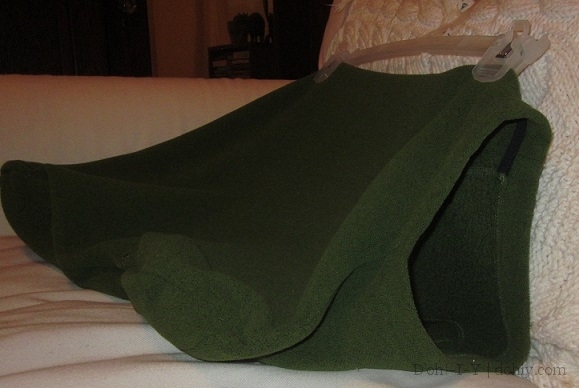 To help hold it open a little bit, I made a bean bag with–guess what?–dry beans. 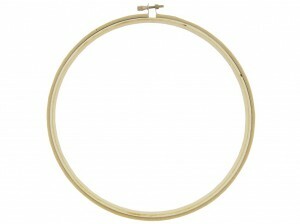 I made an oblong bag out of one of the discarded sweatshirt sleeves and tacked it across the hoop with a few stitches. That weight was enough to give the hoop some vertical support so Mayya could stroll in whenever she liked. 1. Cut the sleeves off a big old sweatshirt. Flip it inside-out and sew closed the arm holes and the bottom. 3. Take one of the sleeves and sew one end closed. Fill it with a bag of dry beans and then close it up so the beans are bunched together, but loosely. You know, like a bean bag. 4. 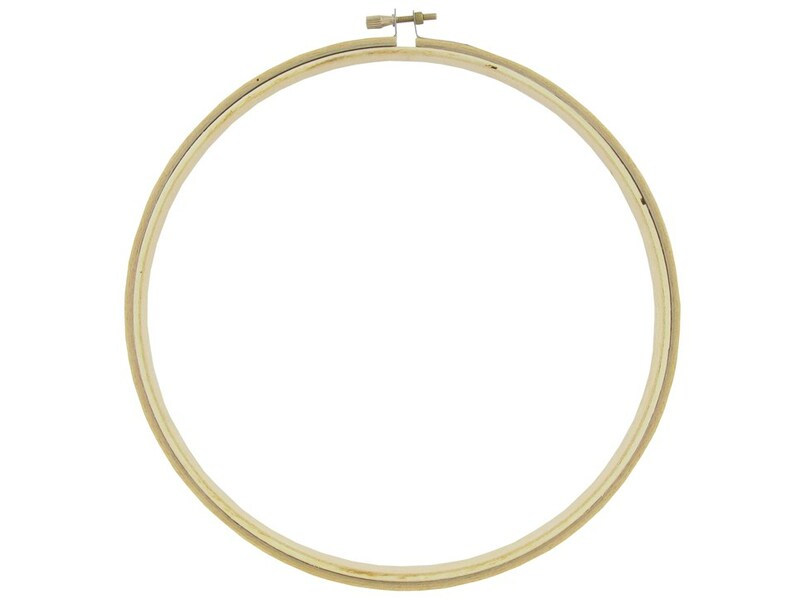 Set the beanbag halfway through the hoop opening, then put a couple of big loopy stitches through the underside so the bean bag is attached to the sweatshirt on either side of the embroidery hoop. 5. 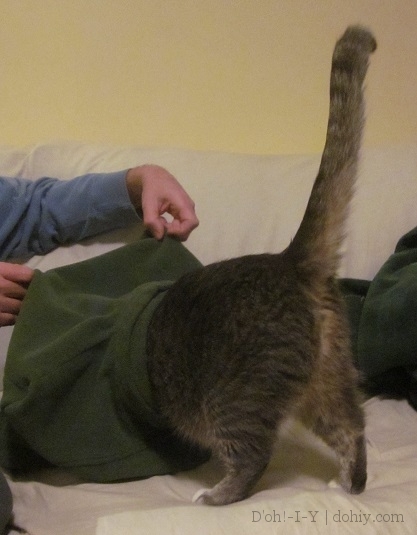 Place the whole ridiculous assembly in your cat’s way. This is one of the sillier projects I’ve ever done! But it was fun, and the cat seems to enjoy it. 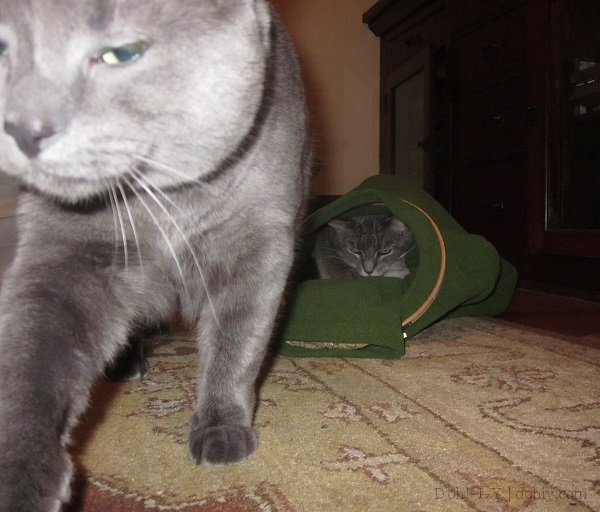 The other cat (who does not like to be swaddled) is not impressed. Done anything silly lately your own selves? 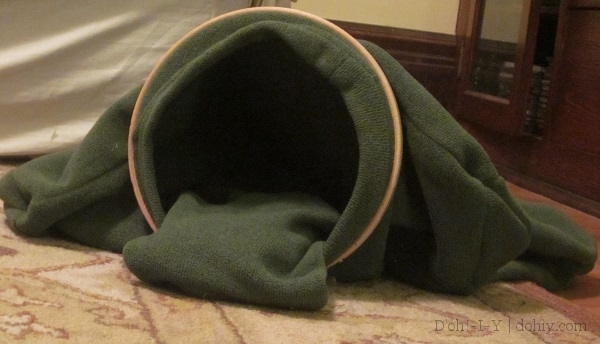 This entry was posted in D'oh!, Decor and tagged DIY cat bed, how to make a cat bed, how to repurpose a sweatshirt, quick and easy cat bed, sew a cat bed. Bookmark the permalink. your one cat does look quite cozy 🙂 After seeing the prices for training dog treats I am now a crazy-lady-who-bakes-doggie-biscuits….